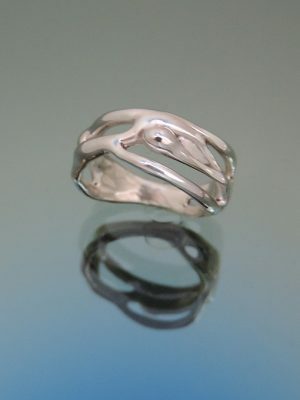 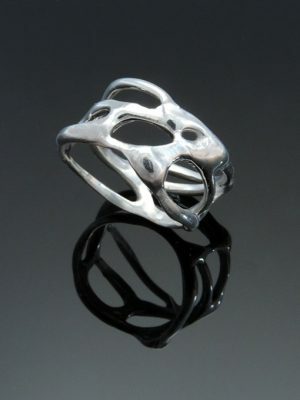 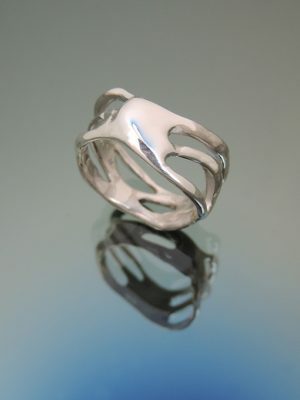 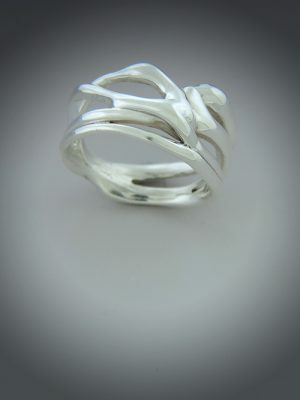 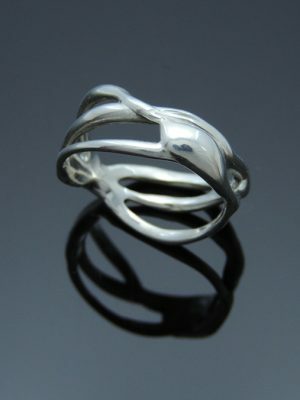 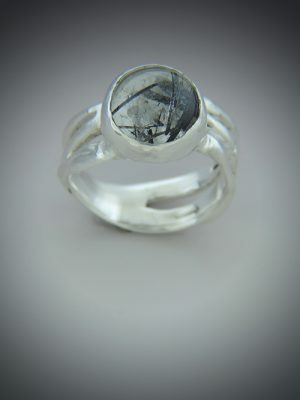 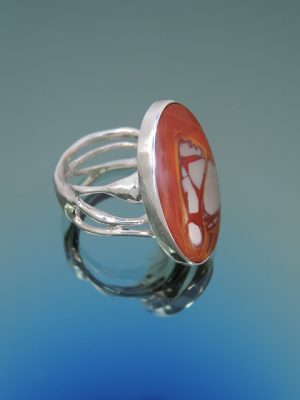 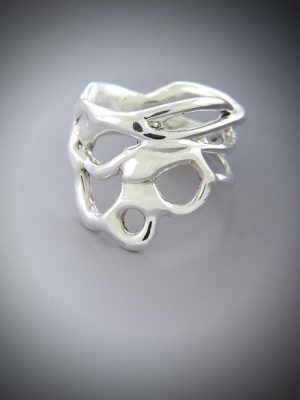 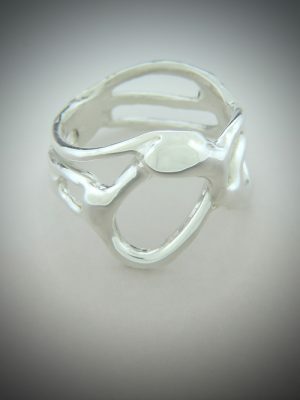 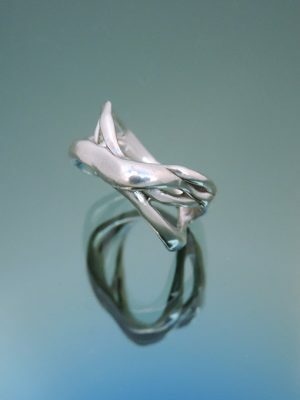 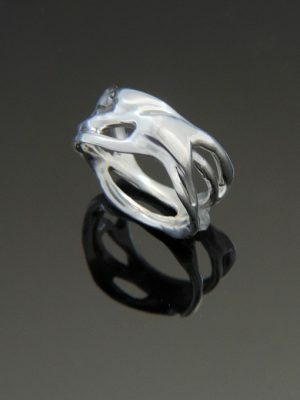 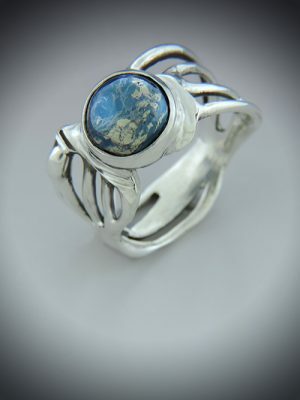 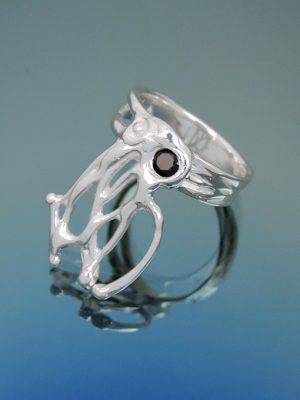 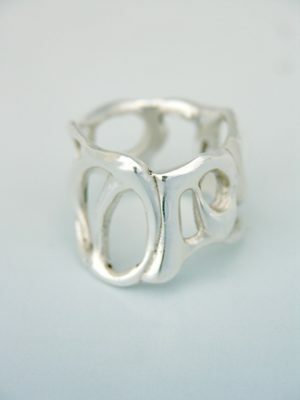 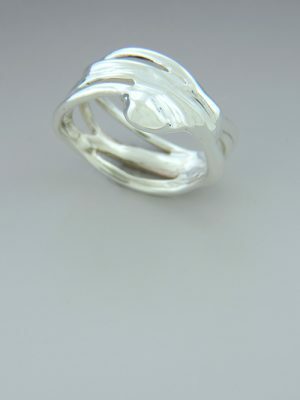 One-of-a-kind designs cast in sterling silver through the Lost Wax Casting process. 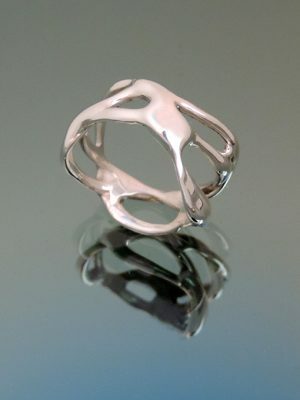 Each ring was first designed in a high-heat wax that retains detail, then cast in a centrifuge or by vacuum casting. 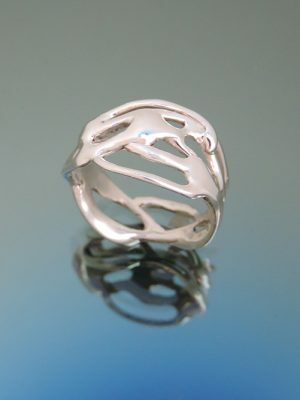 Designs of this nature are not resizable and must be tried on. 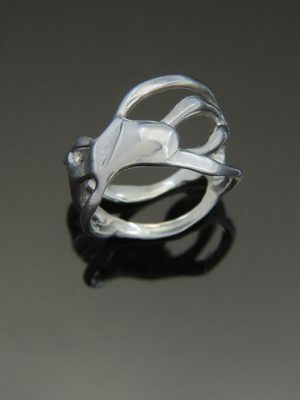 All ring sizes are approximate.